About five weeks ago, Nightdive Studios announced that the System Shock remake would receive a significant delay in its release. Today, PC Gamer reported a more specific timeframe after speaking with Nightdive Design Director Larry Kuperman at the Game Developers Conference 2018. As we geared up and started moving forward with it, we began to run into feature creep. All of those things like ‘you know what would really be cool, how we might reinterpret this.’ Various people wanted to put their imprint on it. As this process evolved over a period of time, it grew in complexity, and it veered away from this original representation. That doesn’t mean that interpretation would’ve been bad, but it wouldn’t have been true to the System Shock vision. 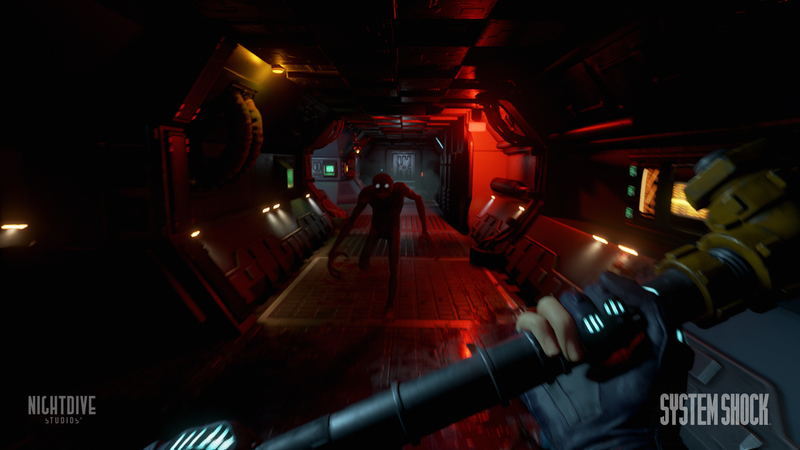 The System Shock remake was announced in 2015, shortly after the release of the Enhanced Edition. Originally due to be developed by Unity, the project was then ported to Unreal Engine 4. The game was funded in July 2016 via Kickstarter with $1,350,700 in pledges. PC Gamer’s report also touches on the financial subject, with Kuperman reassuring that there won’t be funding troubles even with such a long delay. No, it doesn’t [trouble us]. We’ve also had renewed interest from some publishing partners, for whom the more complex and costly game was something of a challenge for them, that this is what they were hoping we would provide and renewed their interest. Backers will get a look at the demo Nightdive brought to GDC 2018 with an update due to hit at some point in April.